Polish gourmet traditions are as old as Polish culture, which has written history over a thousand years. And here is the definitive Polish cookbook, The Art of Polish Cooking, containing 500 authentic recipes which reflect the proud traditions of this ancient country. This cookbook is complete with recipes for hors d’oeuvres, soups, entrees, vegetables, pastries, desserts, and beverages. Special holiday menus are also presented, along with charming descriptions of traditional Polish feasts and celebrations. Polish cooking is characterized by herbs like dill, caraway seed, and green parsley. Sour cream is another essential ingredient. 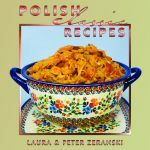 Author Alina Zeranska provides easy-to-follow recipes for favorites like Cabbage Rolls, Chicken in Dill Sauce, Meat Pierogis, and Fruit Mazurka. Mrs. Zeranska has translated these Polish recipes perfectly using exact American measurements. 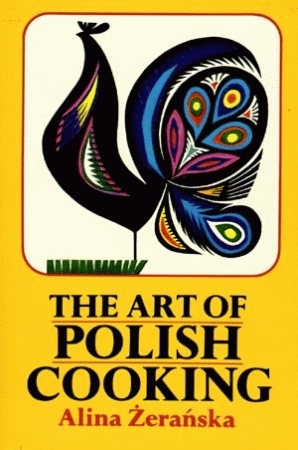 This is truly an authentic book of Polish cuisine for family use and elegant entertaining in the old world tradition. Alina Zeranska grew up in Warsaw, where she learned Polish cooking and entertaining from her mother. She was a widely respected radio and print journalist, and edited the family page of the Canadian Alliancer, a Polish-language newspaper. 12 b/w illus. Index 2nd ptg.